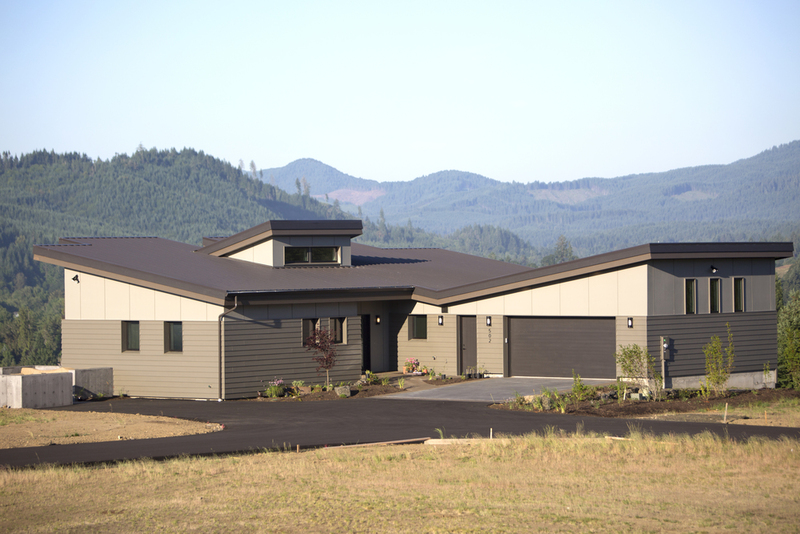 Portfolio — Bilyeu Homes Inc.
Philomath. Est. 2015. 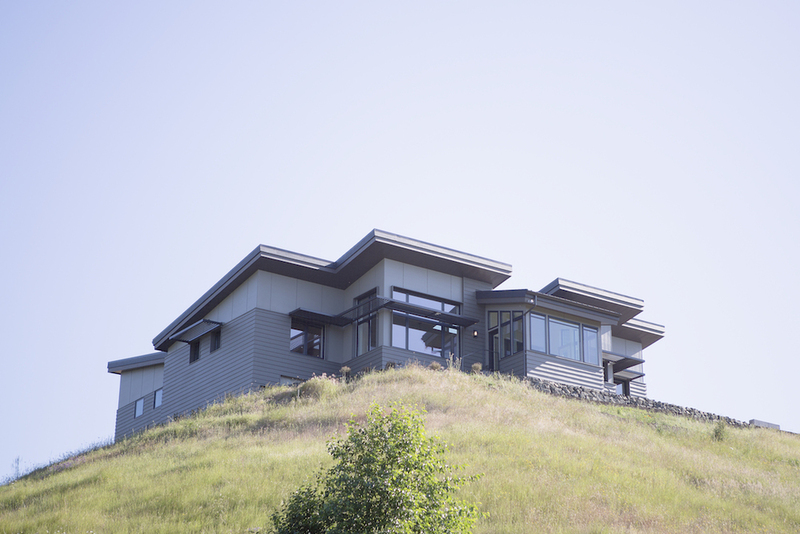 This custom Passive House is Net Zero Ready, and combines modern aesthetics with high performance assemblies and equipment (and incredible views of Mary's Peak and the coast range). 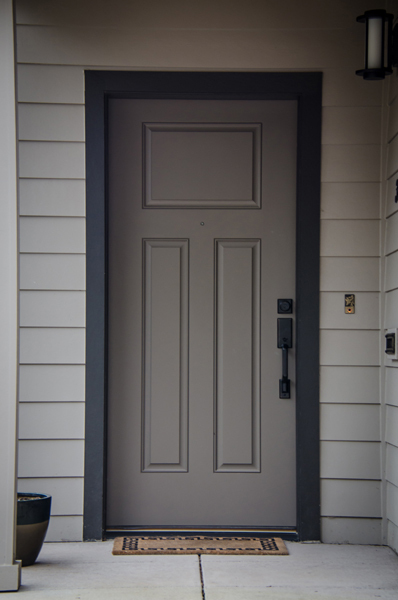 Conceptual design work was done by Nathan Good Architects, and enclosure design and construction documents were done in house by Bilyeu Homes. Currently seeking PHIUS+ certification, this house features thickly insulated assemblies, heat recovery ventilation, an airtight exterior shell (.30 ach50), triple pane windows, and exterior motorized venetian blinds for solar control. North Salem. Est. 2010. 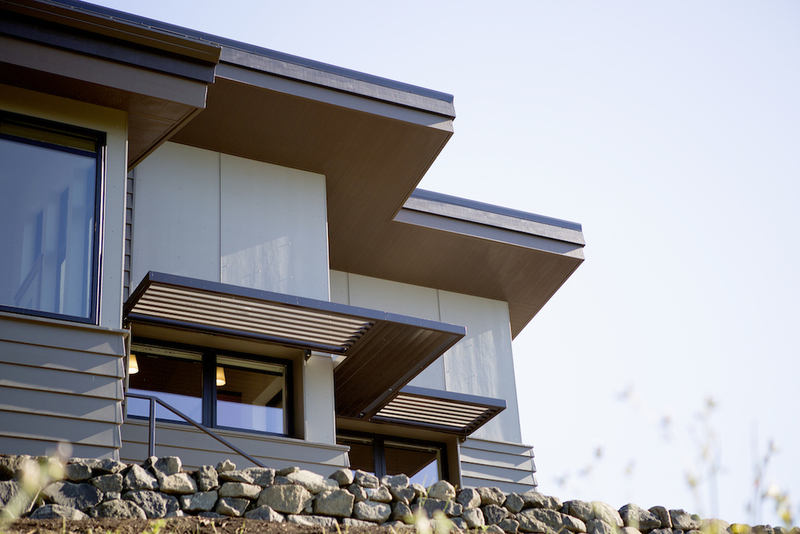 This custom home is the first new house on the West Coast to receive final Passive House Certification. Performance features include an advanced framed double-stud wall system that is over 12" in total thickness, triple pane windows, an energy recovery ventilation and distribution system, solar hot water system, and an extremely tight exterior shell that registers at .20 ach50 on our latest test. Check out the third party study by Ecotope. West Salem. Est. 2009. 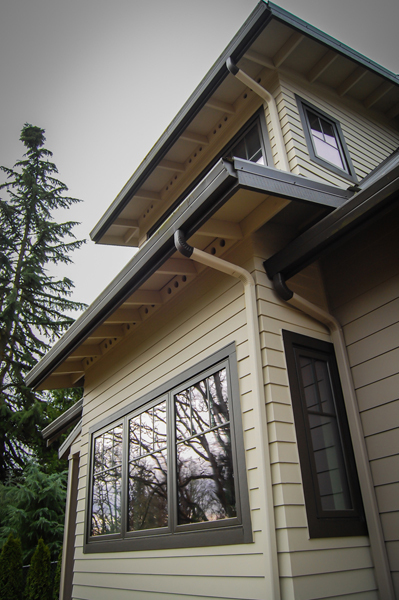 A custom modern design located in West Salem that evolved after many meetings and discussions with the customers. Roof-line and exterior detailing input from Nathan Good. 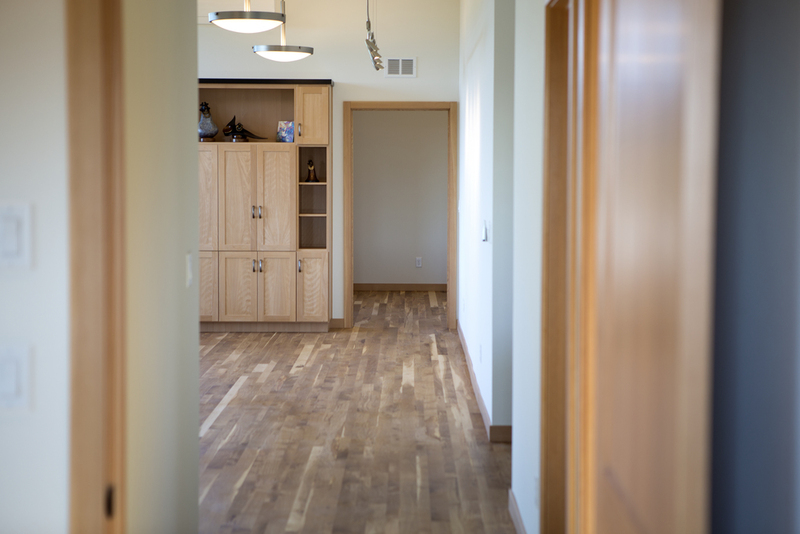 It features advanced framing, exterior insulating sheathing, spray cellulose wall insulation, dual ERV's, custom site-milled cedar siding, solar thermal hot water system, a mini-split ductless heat pump and a masonry heater. South Salem. Est. 2007. The home was the first at the Pringle Creek Community. 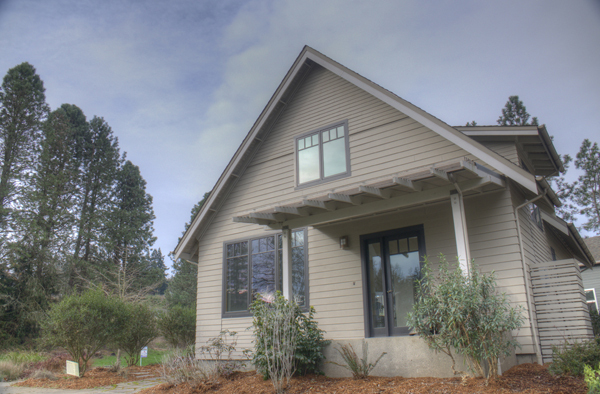 The cottage was built to showcase many of the potential components and techniques that might go into homes in this community. It features an advanced wall system, photovoltaic panels, solar thermal, rain water harvesting, and a community tied geothermal heat pump. It was the top LEED-H home in the country at the time of construction. South Salem. Est. 2011. Designed to fit an extremely small and irregularly shaped infill lot, this project features an advanced wall assembly, triple-pane windows, a recovery ventilation system, and a refurbished Finish Tulikivi masonry heater, complete with wood-fired bake oven. Details such as a custom built “Murphy” pull-down bed maximize the functionality of the small home, and make it live much larger than its square footage alone would suggest.